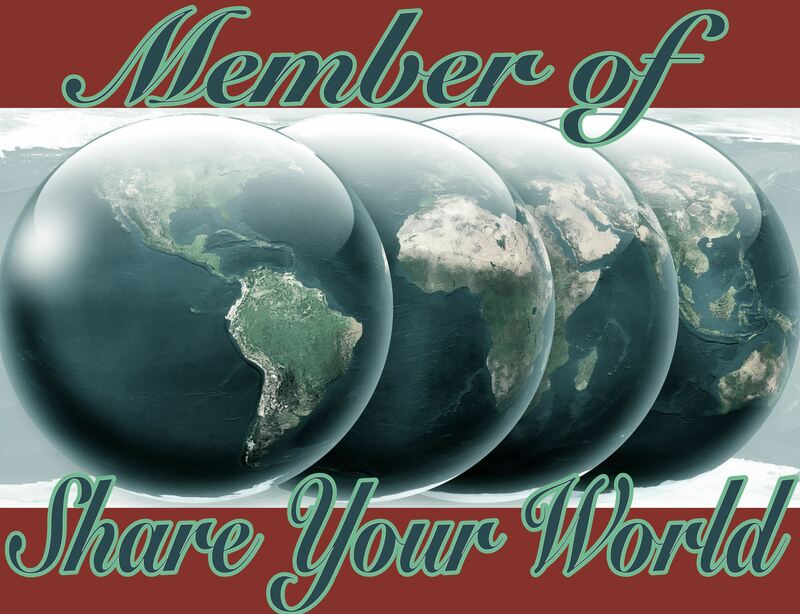 It’s 2015 and it (was) the first week, which means it’s time for Share Your World 2015 Week 1, hosted by Cee on her wonderful photography blog. It’s not Sunday, which is my traditional SYW day, but tomorrow has been designated “Unicorn Appreciation Day”, so I shall be busy appreciating unicorns! Fortunately I get very few of these now since I registered with the Telephone Preference Service. I used to get so many I stopped answering the phone. I wish I could be like my dad, who is quite rude to telemarketers, but I can’t bring myself to be nasty which is actually worse for them as they’re forced to speak for ages, wasting their own time, before I can get a word in to tell them that I’m not interested. Sometimes they’re quite nasty about it. I once had one chap who talked for a full 2 minutes with no break whatsoever before I finally managed to say “actually I rent so I’m not interested in water pipe damage insurance, that’s my landlord’s responsibility”. Poor fellow :-(. Hmm, umm, I don’t think I’m really a “natural” at doing anything. Unless “slobbing around” counts. I seem to be able to manage that without too much effort! It used to be every 6 weeks, but now it’s every 5. My hair is quite short so it doesn’t take long to start looking messy, curling round my ears and whatnot. My hairdresser used to be a “walk-in” type so I kept putting it off until my hair got ridiculously messy, but a year or so ago she started out on her own and only does appointments which forces me to go at a pre-arranged time which is a good thing, hair-wise. Hmm, umm, ah. Well, nothing came immediately to mind. That’s a bit depressing, isn’t it? You definitely need to deal with the “fun” issue. Maybe you need a pet. You are insulting my FAVORITE fun thing. Okay, my back and I have agreed to give it a rest, but talk about an adrenaline rush! With the Telephone Preference Service, which only handles UK-based companies, we’ve started getting calls and recorded messages from abroad now. I no longer answer any international calls or calls from “Unknown” (I’ve set my phone to automatically reject those). Yeah, that’ll be a gory one! That is depressing…you need to work on that fun factor. Hm, I just hang up when the speech starts, that was 2 mins you lost. I don’t know them, I can’t care about everyone’s feelings, ridiculous. Wish I had the money to come be your Auntie for a month. I do a great sad face when I don’t get my own way. Yes you could skydive, they do soft landings, your eyes would be fine. Ride bikes, do roller coasters, go to the Pubs, not drink but laugh at the drunks. Need to have running shoes on. Zip line, go to public hearings and argue against something. Caves there, we could climb thru the caves. I did that last weekend, it was a blast. I will not jump fences with you! I would be up for the caves thing. I’ve always fancied a bit of spelunking. I really couldn’t handle having it cut any more often, and if I could get away with leaving it a bit longer between cuts I would! And £9 a time, too.